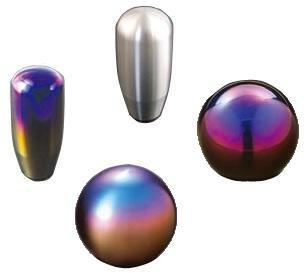 ARC Titanium Shift Knob UNIVERSAL - Dezod Motorsports Inc - Home of the automotive performance enthusiast since 2002. ARC Titanium Shift Knobs are the crowning jewel to any vehicle interior. Manufactured from aircraft grade Titanium and ergonomically designed to fit to the contour of your and and eliminate missed shifts.